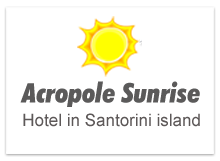 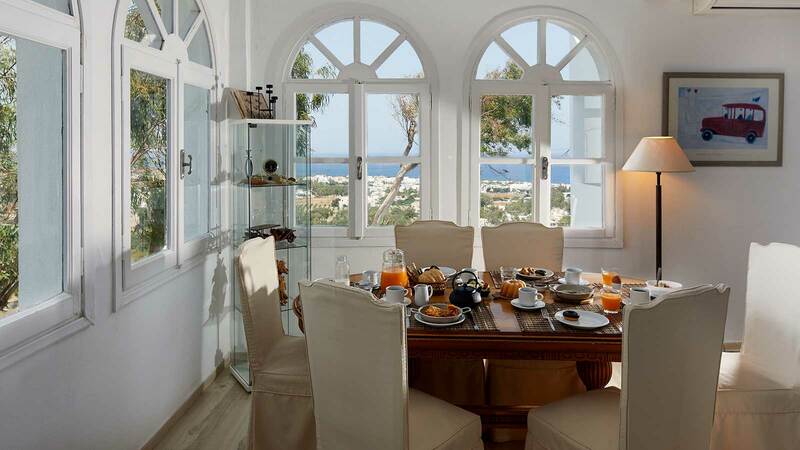 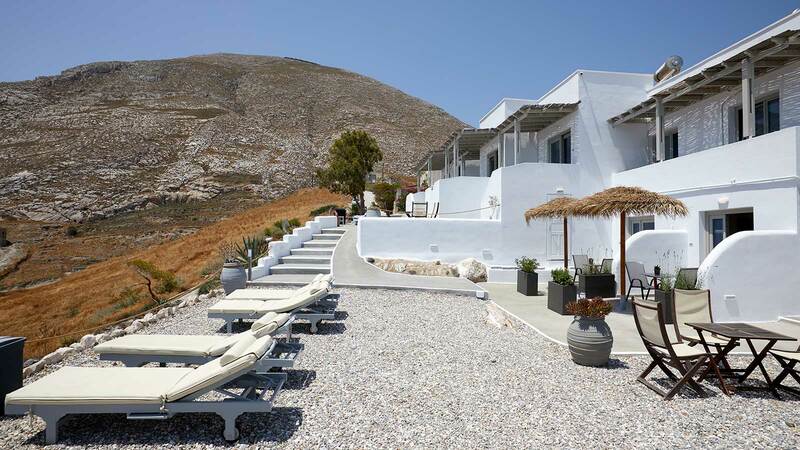 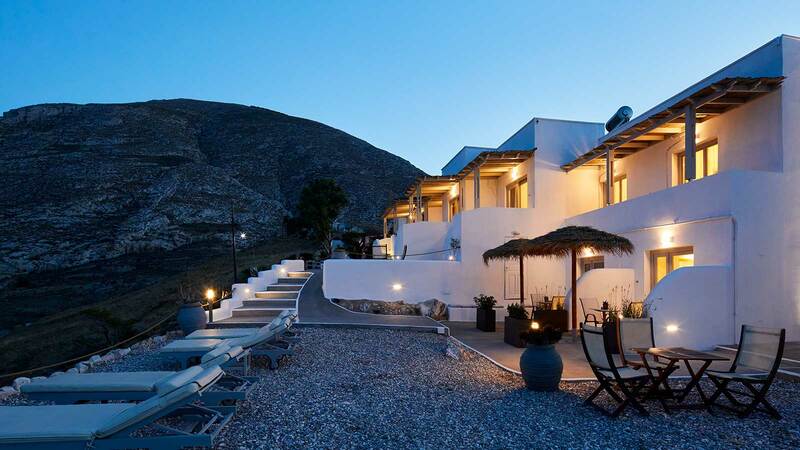 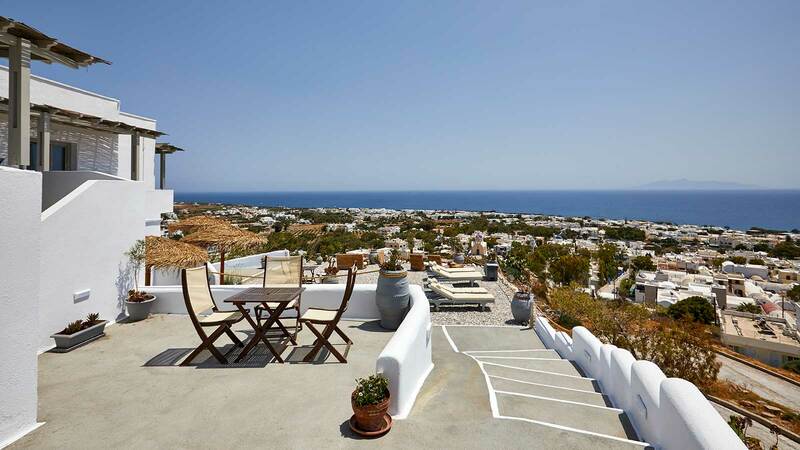 Acropole Sunrise is a hotel with the typical Cycladic architecture and built in a charming way. 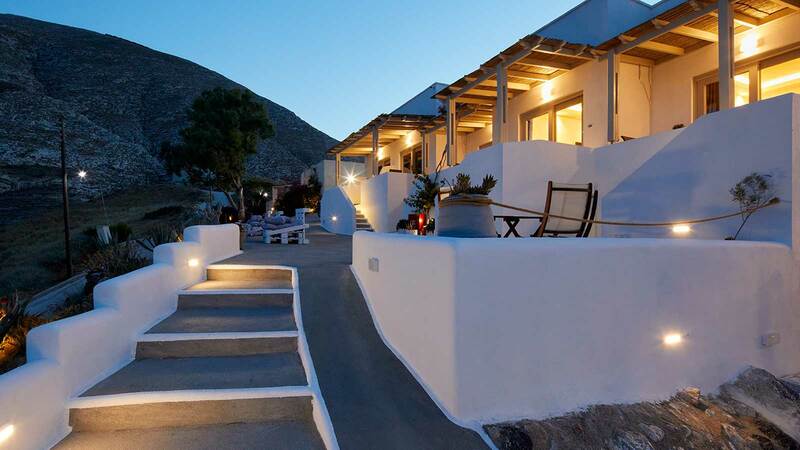 A family run hotel, located in the cosmopolitan village of Kamari, 10 km away from Fira. 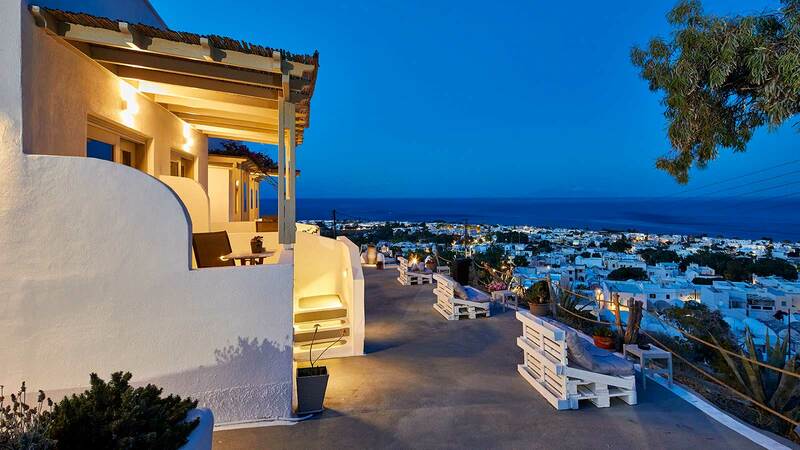 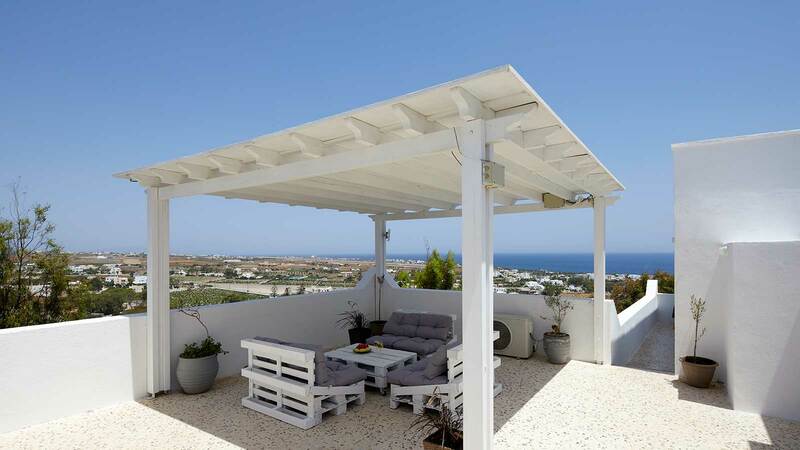 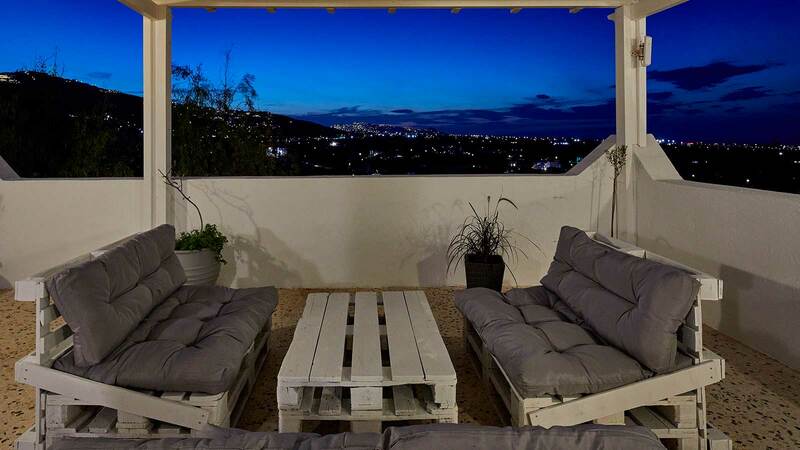 It dominates on top of a low cliff overlooking the black pebbled beach of Kamari, giving its clients, therefore, the opportunity to have a bird’s eye view not only of the nearby area but also of Fira and the village of Pyrgos and Exo Gonia.